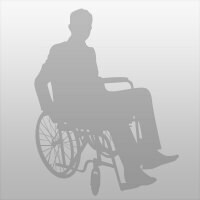 Mature male uses wheelchair, mostly, but can walk short distances. Latino , blue eyes good personality just looking to socialize. I'm just trying to live.